The WP Bookit Theme is an all in one travel booking theme which offers the ability to compare hotel and flight prices all on one website. You can create your own travel booking and comparison website allowing you to compete with big brands around the world. Check out some of the great websites using the WP Bookit Theme. The WP Bookit Theme is an all in one travel booking theme which offers the ability to compare hotel and flight prices all on one website. You can create your own travel booking and comparison website allowing you to compete with big brands around the world. Allow your visitors to search hotels and compare prices on 100,000s of hotels across the world. 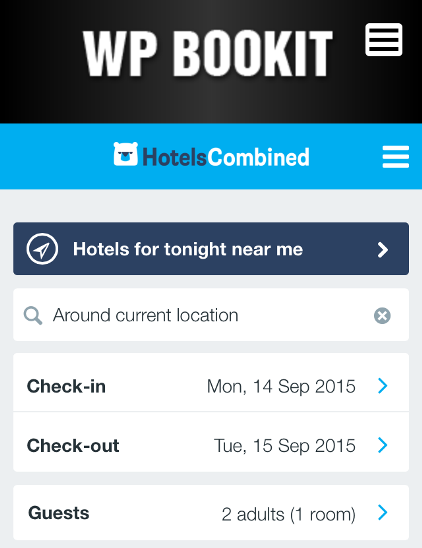 Compare the prices on hundreds of websites using hotels combined affiliate platform. Make money any time someone searches using the form. You can hide this entire area or show up to 12 destinations. 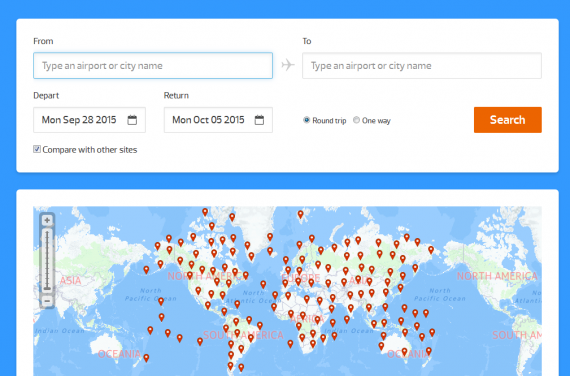 After user clicks, the hotels combined destination is shown as an iframe in your site so you can make money on any outbound clicks. You can also choose to show up to 8 different featured hotels or hide this section on the front page. We chose to show up to 4 on our front page demo. You are able to customize photo, price, and text for each listing. And unique icons and text for an about us section. You can also hide this area. 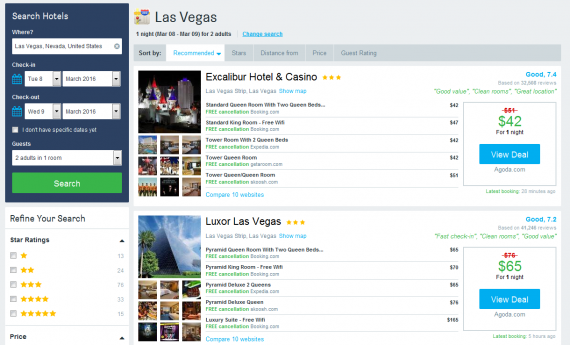 Easily embed a hotels listings page to generate more income as an affiliate. You can also create a page to compare flight prices and display a flight booking form and map. Make money by becoming an affiliate of DoHop. Add a page to display a car rental booking form as well! No plugins are needed for this theme. We do recommend an SEO plugin like WordPress SEO however. Do I need to become part of any affiliate program to use this theme? No, but if you want to earn money you will. The theme works fine as is and all the forms show up without entering any information on your part. You will not get tracked though if you do not become affiliates of both DoHop and Hotelscombined and add your affiliate links as discussed in our support documents. Is it ready for translation? Yes, you area able to translate the theme and it is localized and ready. It does not come pre-loaded with any translation however. Can I change colors or background images? You are able to change the global orange color, the button color, the navigation color, the front page background image, and the blue background image on flight and car pages very easily with a few clicks in the admin area.